The wide-eyed billionaires who run Facebook previously claimed they were simply unaware of how their platform was being used by bad people to sway the U.S. presidential election, foment hate and division and contribute to ethnic cleansing abroad. That’s what they said. But as it turns out, they were delaying. They were denying. They were — what’s the word for it? Oh yes: dishonest. And they were watching their stock price — no doubt, very very carefully. The New York Times’ five-byline, 4,000-word investigation, published on Wednesday, brings hard facts and reporting to the charade we’ve been watching for years. “As evidence accumulated that Facebook’s power could also be exploited to disrupt elections, broadcast viral propaganda and inspire deadly campaigns of hate around the globe, Mr. Zuckerberg and Ms. Sandberg stumbled,” the investigation concludes, referring to founder and CEO Mark Zuckerberg and COO Sheryl Sandberg. I’ve been ringing the bell about Facebook for some time, after watching in horrified silence as the platform — which once promised to create a business model to promote and support the creators of news content — turned out to be dishonest about that, too. No financial support was ever forthcoming for those who reported the news and partnered with Facebook to share it. It turned out to be the other way around — publishers have to pay Facebook to access their own subscribers — surprise! Too bad for newsrooms being decimated quarter by quarter. All this rotten fruit falls from the same poisoned tree. I always thought — and have written — that manchild-CEO Mark Zuckerberg was tone deaf about the serious responsibilities that come with creating and maintaining a platform used as a tool of mass communication among hundreds of millions of people. This summer I pointed out that his lack of a humanities education as a Harvard drop-out was a real problem. In his heart, it seems, he does not accept that his platform gives him massive responsibility. The lip service he has paid publicly was not convincing before Congress, or in interviews like the one this summer with Kara Swisher in which he defended Holocaust deniers’ right to share their lies on Facebook. So why should we trust this latest remark? 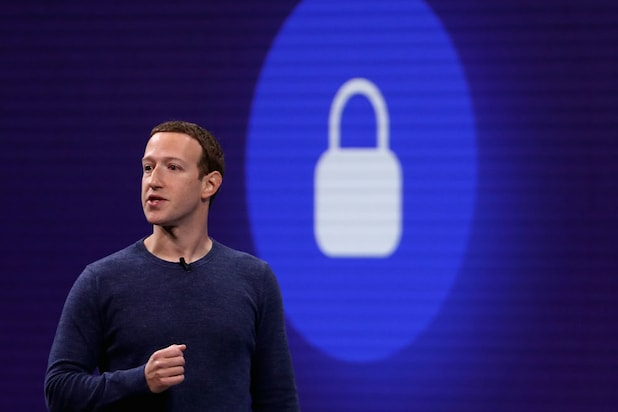 “To suggest that we weren’t interested in knowing the truth, or that we were trying to hide what we knew, or that we tried to prevent investigations is simply untrue,” he stated today on a press call about Facebook’s latest content standards. It is also disappointing to learn that Sandberg — beloved for her empathic air, her intellectual polish, her advocacy of women’s leadership — bought into this system. According to the investigation, instead of digging into the alarming revelations of Russian meddling and fake news on the platform in 2016, she chewed out Facebook’s head of security Alex Stamos for embarrassing her in front of the board. She led a campaign to undermine critics of Facebook instead of dealing with the growing problems. I am particularly offended that we learned in the article that Facebook — shame! — lobbied “a Jewish civil rights group to cast some criticism of the company as anti-Semitic,” and hired conservative opposition research experts to launch a counter-information campaign. Definers, the conservative group that reportedly wrote stories slamming Facebook critics, encouraged journalists to look into George Soros’s funding of those groups. I called a Facebook spokesman who said he was offended that I said his company’s behavior and statements suggest a betrayal of public trust. He pointed to tweets by Facebook security chief Alex Stamos spreading the blame for 2016 around to news outlets who reported on the hacked emails. I asked: Do you think Facebook has a trust problem? An admirable goal, to be sure.